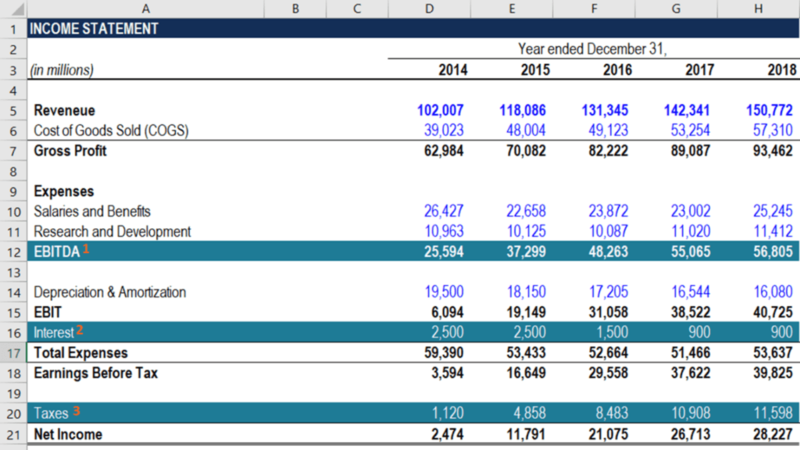 How to Calculate FCFE from EBITDA? You can calculate FCFE from EBITDA, by subtracting from it interests, taxes, change in net working capitalNet Working CapitalNet Working Capital (NWC) is the difference between a company's current assets (net of cash) and current liabilities (net of debt) on its balance sheet. It is a measure of a company’s liquidity and its ability to meet short-term obligations as well as fund operations of the business. The ideal position is to, capital expenditures and then add net borrowing. Free Cash Flow to Equity (FCFE)Free Cash Flow to Equity (FCFE)Free cash flow to equity (FCFE) is the amount of cash a business generates that is available to be potentially distributed to shareholders. It is calculated as Cash from Operations less Capital Expenditures. This guide will provide a detailed explanation of why it’s important and how to calculate it and several is the amount of cash generated by a company that can be potentially distributed to the company’s shareholders. FCFE is a crucial metric in one of the methods in the Discounted Cash Flow (DCF) valuation modelDiscounted Cash Flow DCF FormulaThe discounted cash flow DCF formula is the sum of the cash flow in each period divided by one plus the discount rate raised to the power of the period #. This article breaks down the DCF formula into simple terms with examples and a video of the calculation. The formula is used to determine the value of a business. Using the FCFE, an analyst can determine the Net Present Value (NPV)Net Present Value (NPV)Net Present Value (NPV) is the value of all future cash flows (positive and negative) over the entire life of an investment discounted to the present. NPV analysis is a form of intrinsic valuation and is used extensively across finance and accounting for determining the value of a business, investment security, of a company’s equity, which can be subsequently used to calculate the theoretical share price of the company. Earnings Before Interest, Taxes, Depreciation & Amortization (EBITDA) is one of the most commonly used metrics of a company’s profitability. Similar to Earnings Before Interest and Taxes (EBIT)EBIT GuideEBIT stands for Earnings Before Interest and Taxes and is one of the last subtotals in the income statement before net income. EBIT is also sometimes referred to as operating income and is called this because it's found by deducting all operating expenses (production and non-production costs) from sales revenue., EBITDA primarily assesses the company’s profitability from regular business activities. However, unlike EBIT, EBITDAEBITDAEBITDA or Earnings Before Interest, Tax, Depreciation, Amortization is a company's profits before any of these net deductions are made. EBITDA focuses on the operating decisions of a business because it looks at the business’ profitability from core operations before the impact of capital structure. Formula, examples also excludes depreciationDepreciation MethodsThe most common types of depreciation methods include straight-line, double declining balance, units of production, and sum of years digits. There are various formulas for calculating depreciation of an asset and amortization expenses, providing a better overview of the operating profitability. The above approach of calculating free cash flow to equity provides a more detailed overview of the composition of the FCFE. Note that such a level of granularity is not always required in a financial model. In some cases, it can result in negative effects as it complicates the comprehension of a model. However, it is acceptable to apply this variation of FCFE calculation when the assessment of the company’s profitability from its regular business activities (excluding other expenses) is essential. 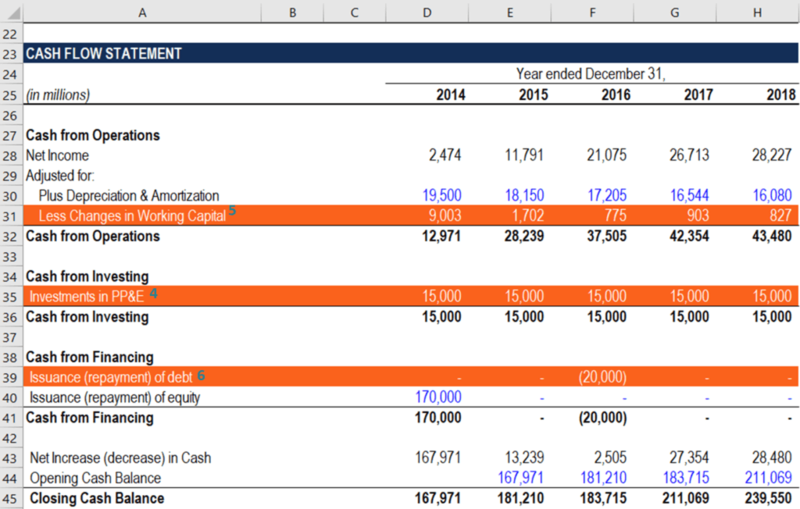 An analyst who calculates the free cash flows to equity in a financial model must be able to quickly navigate through the financial statements. The primary reason is that all the inputs required for the calculation of the metric are taken from the financial statements. The guidance below will help you to quickly and correctly incorporate the FCFE from EBITDA calculation into a financial model. EBITDA: The company’s earnings before interests, taxes, depreciation, and amortization (EBITDA) are recorded on the company’s income statement. CapEx: Capital expenditure (CapEx) can be found on the cash flow statement within the Cash from Investing section. Change in Working Capital (can be also denoted as ΔWorking Capital) is calculated in the company’s cash flow statement within the Cash from Operations section.